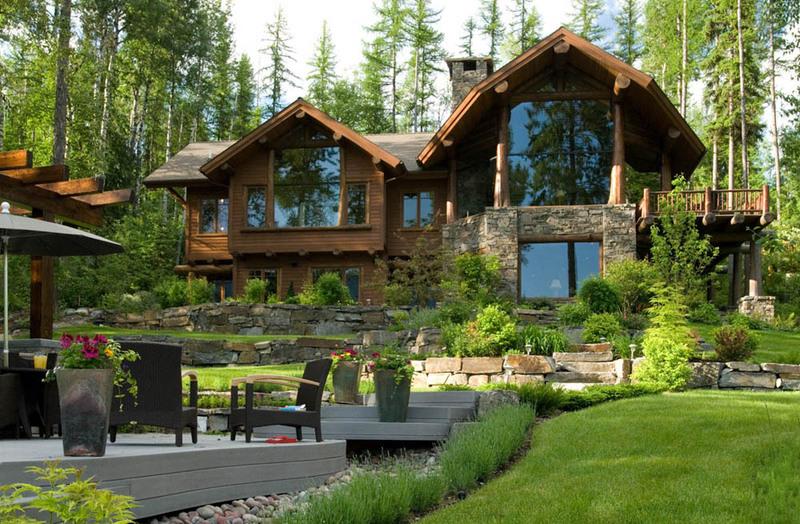 Edgewood Log Homes constructed this house based on the wishes of their customer. 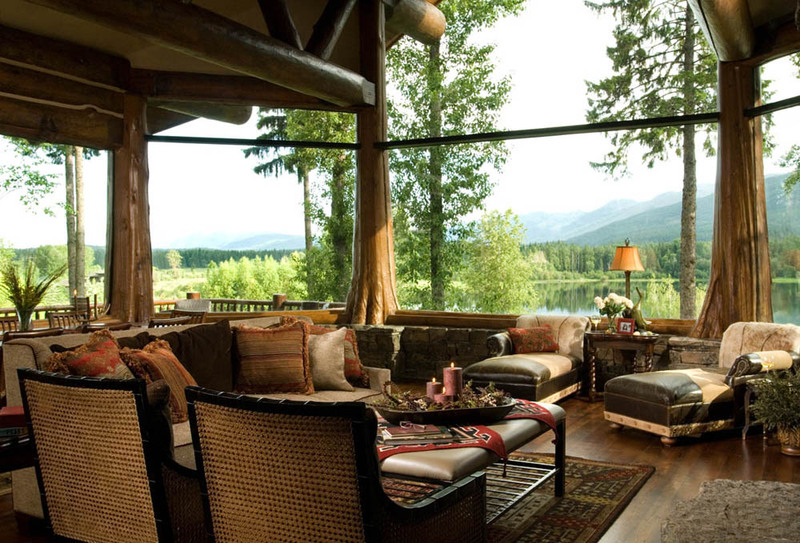 Wake up in the morning with the panorama of the mountains, forest, and lake as a view. 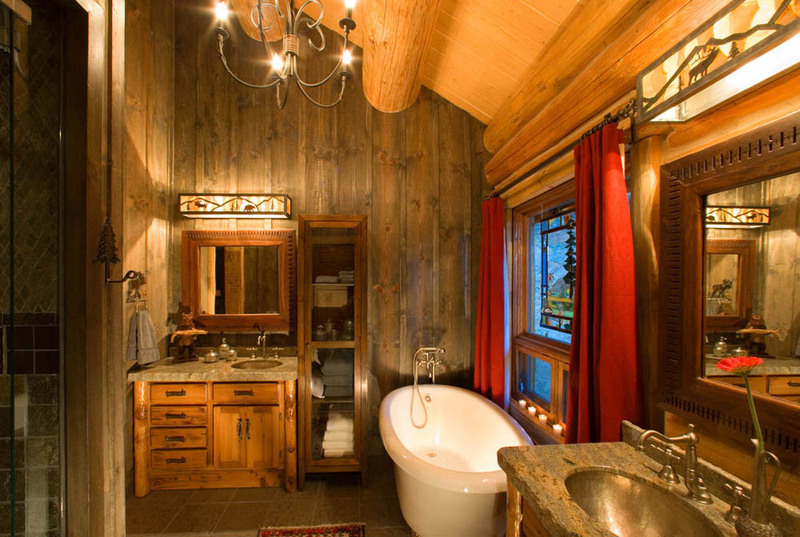 Smell the pines and be one with nature while staying in this luxury cabin. The interior of the house has a vintage feel. The motif is classic and elegant. All furniture was chosen carefully to compliment the style. Everything was combined to show the superiority of its class. The home was specially requested to have guest rooms for grandchildren. It also has massive kitchen and dining space for family gathering. The living area has a fireplace, sofa set, and chaises— great for afternoon gathering over tea and catching up. There is also a modest and functional outdoor space where guests can be entertained. Anyone can enjoy the morning sun or the afternoon breeze in this open space while looking at the wooded environment with territorial views. The house also features a game room for the man of the house and his colleagues. It has an office space, a large wine cellar, a gym, entertainment room, and mechanical in daylight basement. 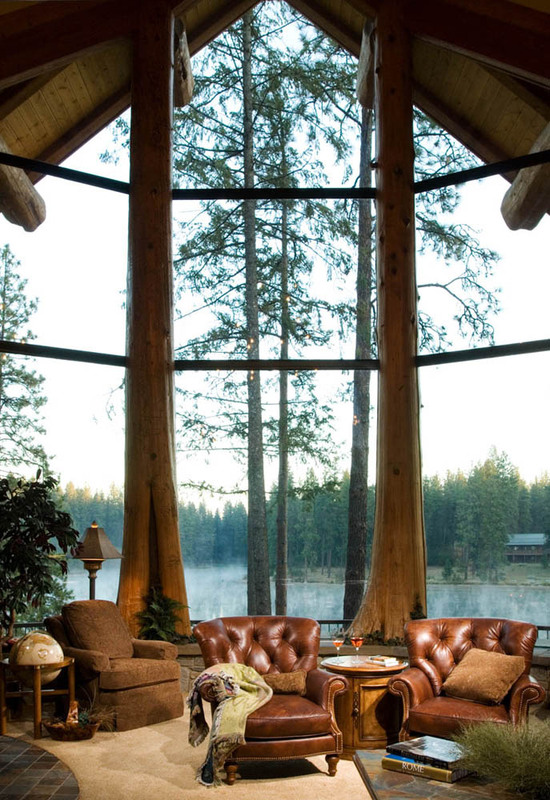 Few houses have a porte-cochere, but this lodge has one. The house’s walls and loft have 13-inch diameter logs. 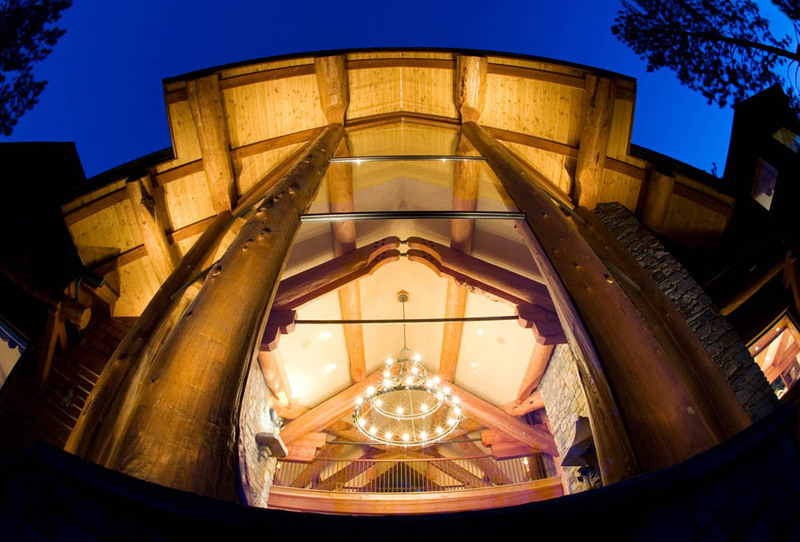 The roof structure is created is a 16-inch average diameter log. A thermal blanket roof framing system perfected by Edgewood’s proprietor was also installed for better insulation. It is specially made with timber trusses combined with antique rods and brackets. 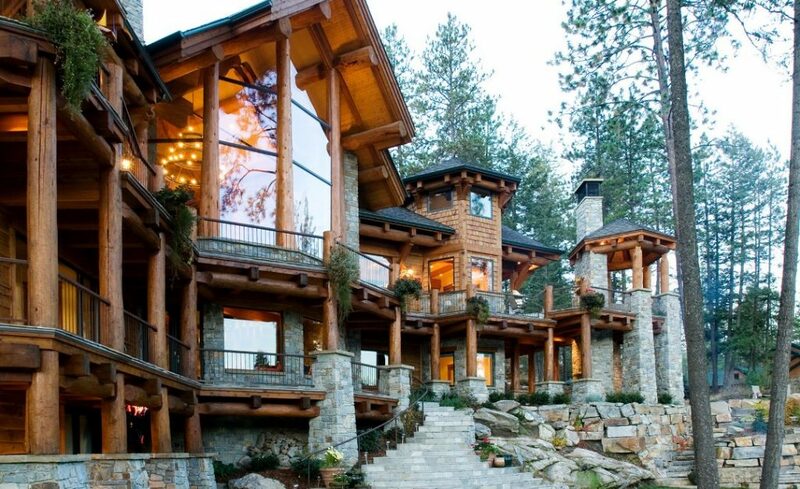 The foyer has two enormous custom log stair system. With the forest as your backyard, you can take a break from the hustle and bustle of the city and relax to be one with nature in this amazing lodge. Don’t be cooped inside. Even the backyard is beautiful. Lounge like a king in these vintage-looking armchair. 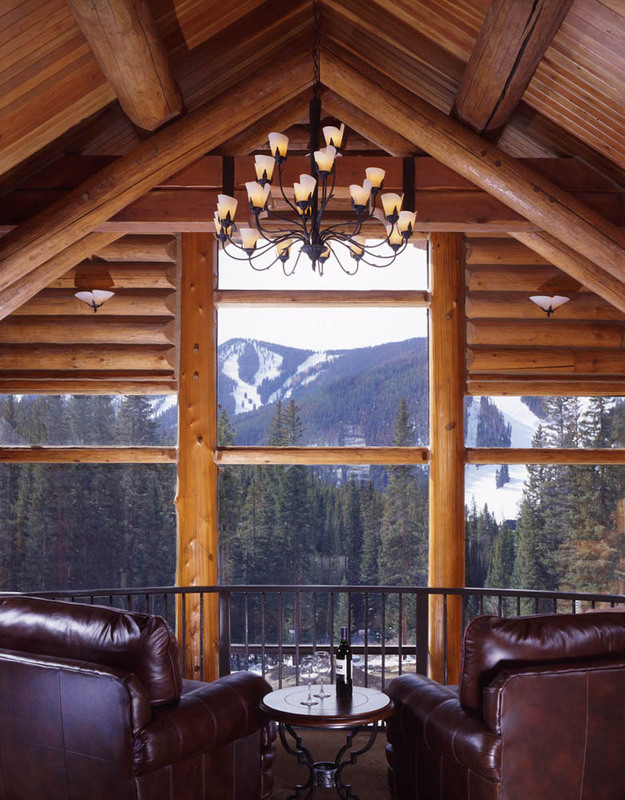 Share a bottle of wine while enjoying the landscape in the comfort of home. 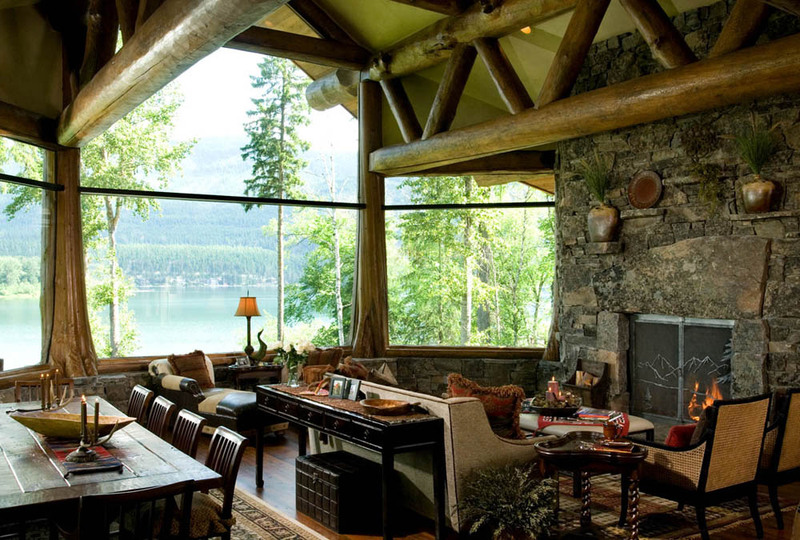 A scenic view of the lake just outside the living room. 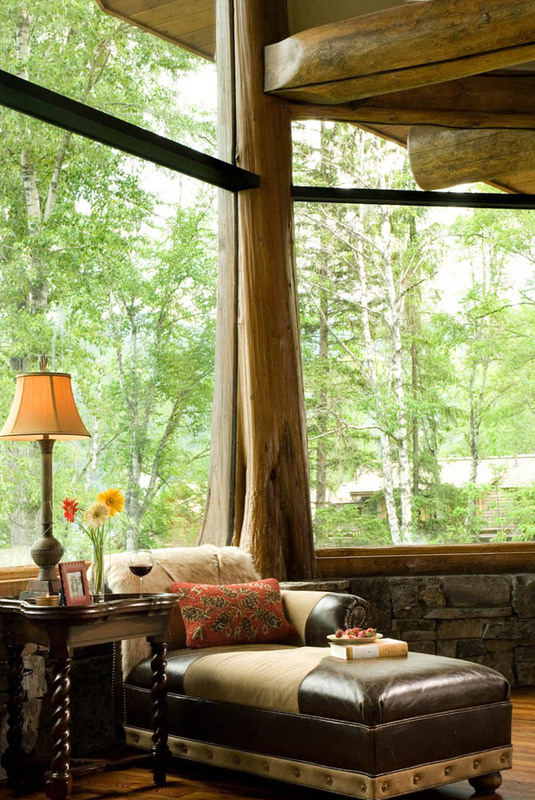 Spend an afternoon with a book and a glass of wine in this relaxing chaise. Gather the family in this parlor for important meetings. Queens only need milk, honey, and this bathroom. The glamorous chandelier lights up the room. 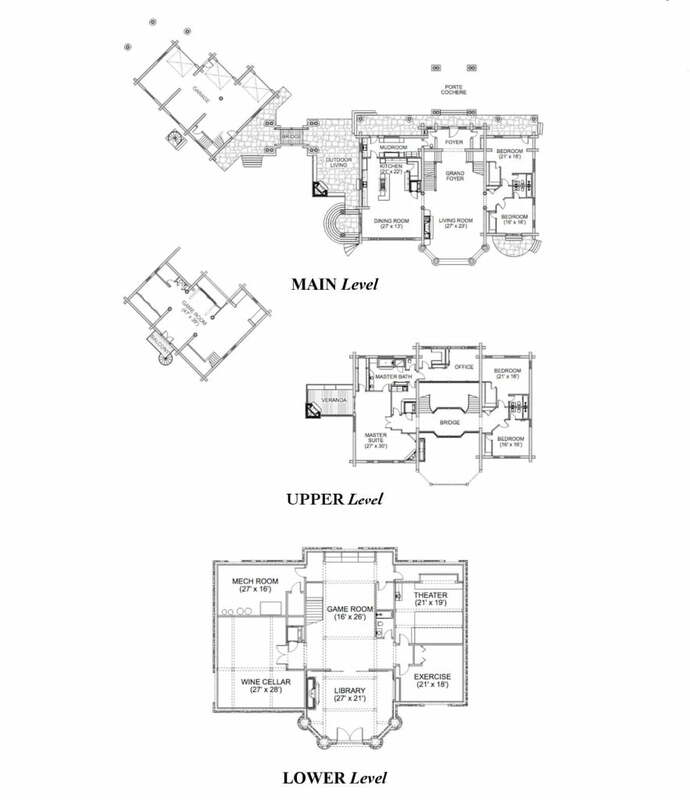 This floor plan shows the intricacy of the house.